Size: 13" x 2.50" x 3"
Seller's Notes/Description: This rare, very fine male torso demonstrates Richmond Barthé abiding focus on the male figure. 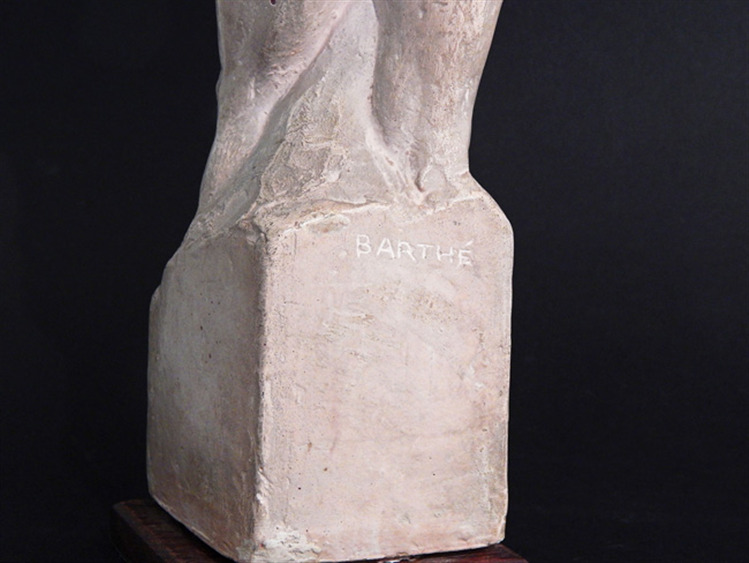 Barthé gave this piece a pale, rosy flesh tone and added a patina to give it an old, antiqued finish. This comes from the collection of a peer and friend of Barthé who lived in New York and Connecticut.